A multifunctional exercise, entitled the Final Design Project, was pedagogically created by Bill Mollison to give students a chance to put the tools of design science straight into practice. Thus at the end of the two-week course, students are required to present their final design project to their classmates, instructors, and clients. This design is based on the knowledge and understanding of course material, which is practically applied to a given location depending on the course context. This apply now methodology that Bill Mollison created is a wonderful way to review the whole course and take steps further with individual research and group collaboration. The general pattern is that in the first week of the course students are split into design groups, each group focusing on a different site, while fulfilling similar needs of their respective “client”. Students work in groups to further develop community building skills, including decision-making and facilitation. 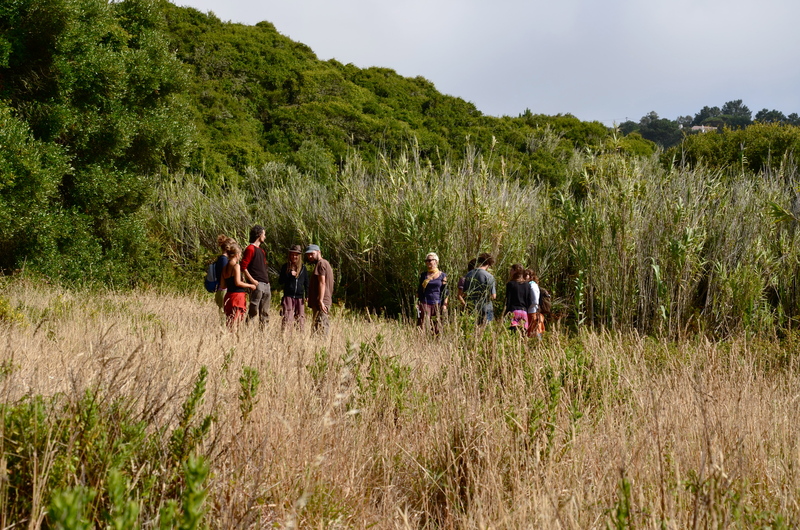 This practice empowers students as they take control of their own learning process, both as individuals and as a community of emerging permaculturists. To accomplish this design project, students are given design time during the course and often they work during breaks and the evening session as the buzz around it builds. It is an intense process but students really obtain a lot from this experience. It culminates with each group delivering a roughly 35 minute presentation based on their overall group design as well as an individual detail. 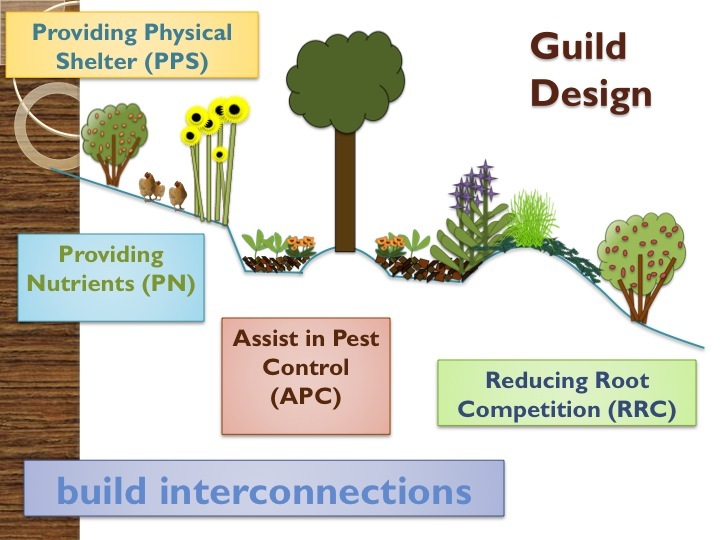 Individual details are zoom-ins on a particular patch and allow the students to focus on one particular facet held within the overall design such as a house design or integrated swale and food forest area. 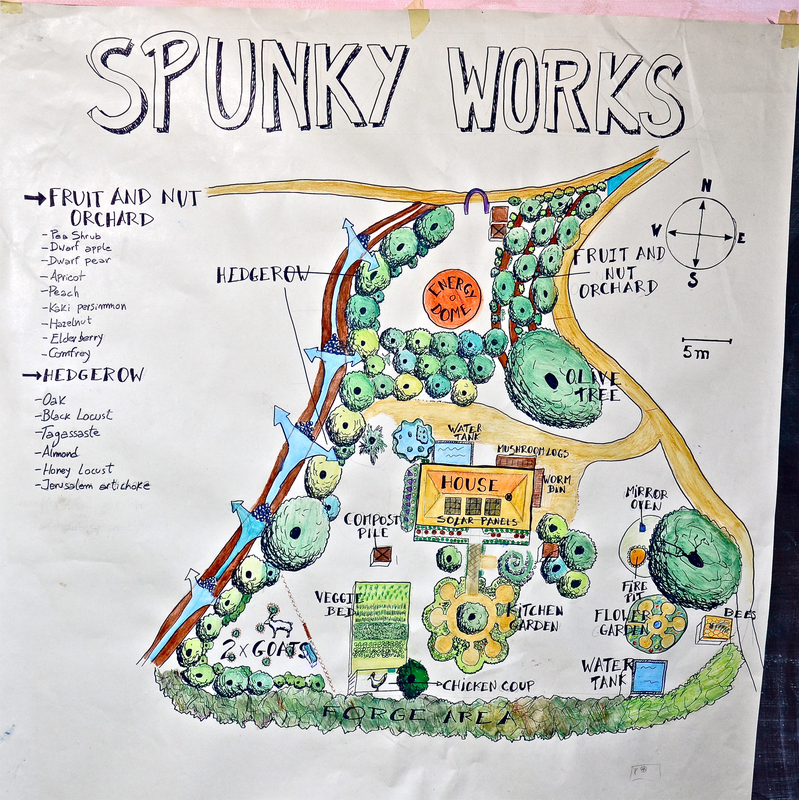 In their design, each group looks to incorporate house design, food production systems, water systems, access, and economic sustainability as well as social components. Using the core model approach and integrated linear step-by-step guidelines, students begin to cultivate the skills of consultancy and personal property layout. As facilitators, we choose to blend these two approaches to effectively address each student’s learning styles and needs. We keep the design process open to the students’ creativity yet facilitate it in a way so pattern process is captured. We encourage students to utilize on-site resources, as well as information and inspiration from abroad. Finally the designs are presented at the end of the course to the whole class and critiqued for their ability to make connections for energy efficiency and fulfillment of the clients needs. Design is what makes the difference so often if projects fail or not so this extended exercise allows students to learn the process while looking in-depth at specific elements of a design.